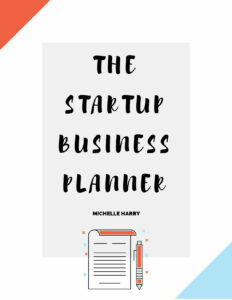 One of the best things I’ve learned from failing as a business owner is not to start a business on a whim or without a plan. When you have a business idea, it is tempting to jump right in without doing some ground work and laying a solid foundation for your business. This is usually a recipe for failure. 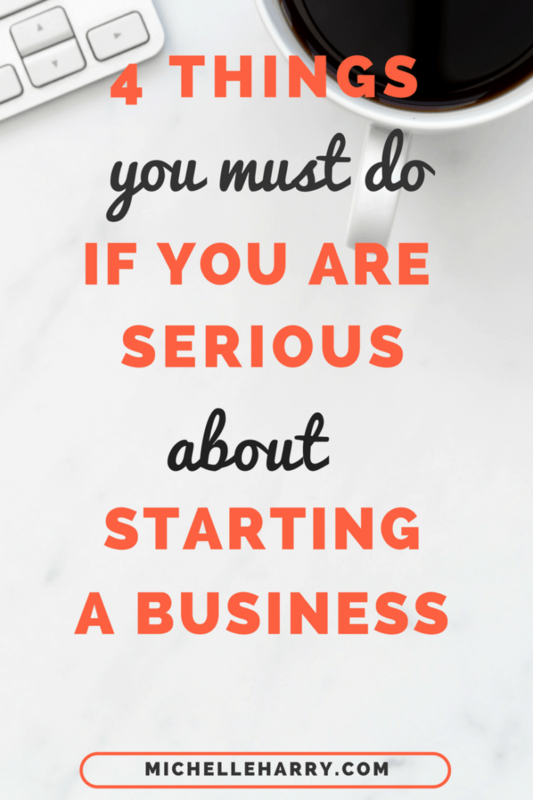 That’s why I wanted to share four things you must do if you’re serious about starting and growing a business. A good business idea is the foundation of a successful business. It’s possible that you have a lot of ideas for your business, but every idea isn’t a good or profitable one. What do you do if you have lots of ideas but you’re struggling to figure out the best or most profitable one? Why do you want to serve them? Do you know their pain points? Does your target audience need what you plan to offer? Can you execute the idea? Do you have the skills and resources to execute the idea? The answers to these questions should help you decide whether your idea is a good one before you invest your time and money. You can also check out this post 3 Practical Steps to Starting a Business to find some more tips on how to choose a business idea. Once you’ve chosen a business idea, then you can move on to the next step. It’s important to define your target audience so you can tailor your products, services and marketing to the right people. Since it’s impossible to serve or help everyone, that’s why you need to clearly define your audience. The purpose of identifying your target audience is to find out if there’s a demand for your product or services. The more you know about your target audience, the easier it will be to reach them and connect with them.For example my target audience is new and aspiring female entrepreneurs. I am not targeting women who have been in business for years. When you target a specific market, it means you’re targeting the people who need what you are offering, and are more likely to buy from you. 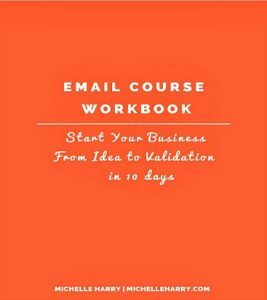 In my FREE Email Course Start Your Business:From Idea to Validation in 10 days, I go into a lot more detail on the four things you must do if you’re serious about starting a business. You can sign up for the course by clicking the image below. The course comes with a Free 15-page workbook you can use to record your thoughts and answers. What do you do after you have chosen a business idea and defined your target audience? I wish someone had taught me some years ago the importance of validating a business idea. I wouldn’t have wasted my savings or spent lots of hours trying to start a gift basket business. If you don’t want to make the same mistake I did, then this is something you have to do before investing a lot of time and money in your business. To validate your idea, you have to be clear on what you are planning to offer (products or services). It’s also a good idea to create a minimum viable product to use to test the waters. A minimum viable product (MVP) is the smallest thing you can create that solves a problem. Find your target audience. Where do they hang out online or offline? Join online communities where they hang out. Once you’ve found them you need to reach out to them. Your audience needs to know that you exist, and that you can offer a solution to their problem. Relevant Facebook groups are a good place to start. Once you are a member of the community, you can stand out by being helpful. Start by answering questions and providing helpful information. Offer your services or products if necessary.The goal is to find out if your idea will be useful to your potential customers. Ask for feedback on your idea. Ask family members and friends especially if they are a part of your target audience. Encourage honest feedback. If you sell physical products, offer samples in return for feedback. If you’re tempted to skip this process,I suggest you don’t. This way you will find out if your idea is worth pursuing or if you should consider some other idea. The next thing you must do after validating your idea is to figure out how you will stand out from the competition. You can find out more information on how to create a competitive advantage in my FREE Email Course. Simply, your competitive advantage is the unique advantage that will allow you to gain more customers or make more sales than your competitors. Where are they? For example, if they are mostly offline can you offer some of your products or services online? What do they do well or poorly? These are just some questions you need to think about to help you differentiate yourself from the competition. It’s a good idea to find a way to stand out from the competition especially if you’re targeting a crowded market. 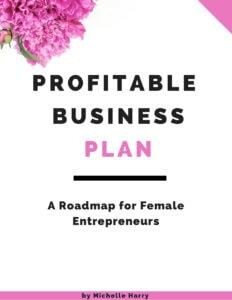 You don’t have to figure out everything before you start your business, but you need to think about it when you’re creating your products or outlining your services. If you need more help starting your business, you can sign up for my FREE Email Course Start Your Business: From Idea to Validation in 10 days.